Charcoal portrait of George Copway, 1850. Minnesota Historical Society, E97.1K p2, negative 13615. 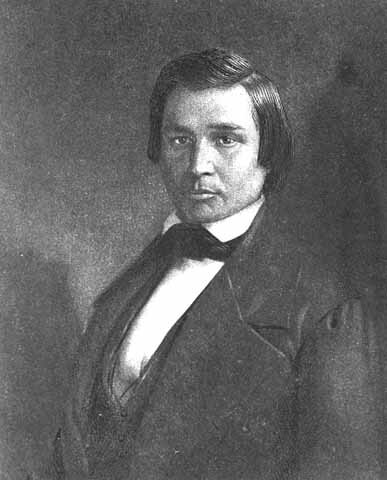 George Copway (1818–1869; Kah-ge-ga-gah-bowh) was an Ojibwa (Anishinaabeg) writer, lecturer, Methodist missionary, and an important early Indigenous literary figure. Copway’s autobiography, The Life, History, and Travels of Kah-ge-ga-gah-bowh (1847), is said to be the first book written and published by an Indigenous person in North America. Life, Travels, and History details Copway’s conversion to Christianity at the age of twelve and life in the Ojibwa community before and after contact with European settlers. It quickly became a bestseller, with six reprintings in its first year (Smith n. pag.). As Laura Moss and Cynthia Sugars note, Life, History, and Travels “blends communal history and personal experience as it incorporates traditions from oral storytelling and missionary tale-telling” (240). 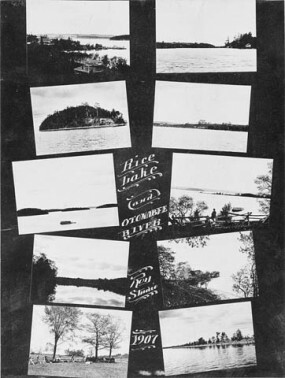 Copway’s family belonged to the Mississauga band of the Ojibwa whose territory stretched north of Cobourg, Ontario, around the Rice Lake area. 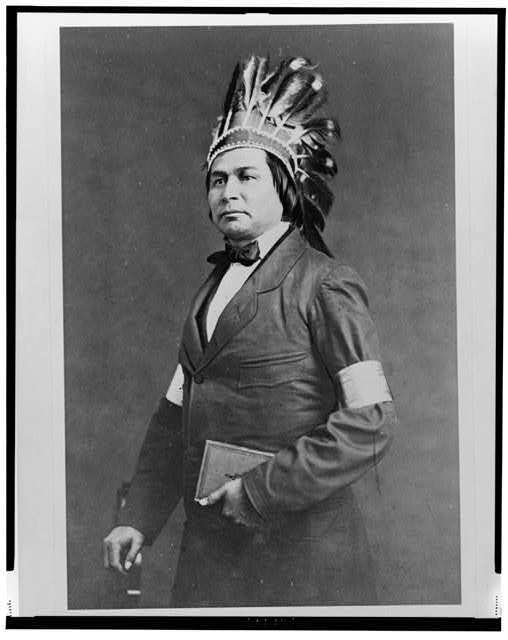 In 1850, Copway published an account of Ojibwa culture and traditions, Traditional History and Characteristic Sketches of the Ojibwa Nation , in which he advocated for a permanent territory for Indigenous peoples. 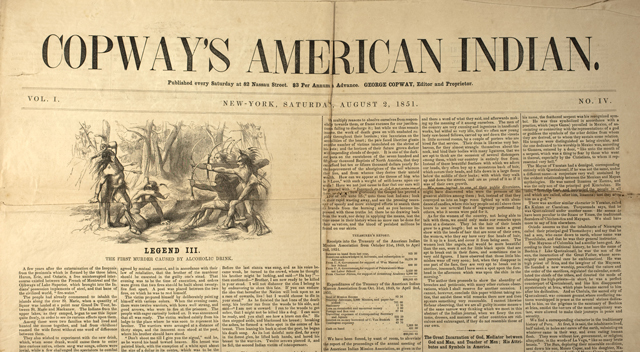 Copway founded his own weekly newspaper in 1851, Copway’s American Indian , with support from prominent scholars and literary figures. However, despite contributions from famous contemporary writers such as John Richardson, the newspaper folded after three months. Although Copway initially enjoyed success as a literary celebrity, he fell out of favour in the 1850s and struggled with financial difficulties. As W. H. New notes, “[l]iterary histories still tend to overlook as literature the extensive work of Native writers … [such as] … Kah-ge-ga-gah-bowh (George Copway)” (5, emphasis in original). 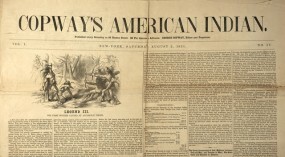 A cover of Copway’s American Indian magazine. American Antiquarian Society. Used with permission. 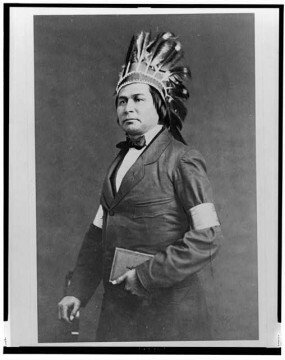 Although Traditional History was also a bestseller in its time, Copway’s political views countered the widespread opinion that Canada had treated Indigenous people justly. Portrait of Kah-ge-ga-gah-bowh, George Copway, ca. 1860. Library of Congress, Washington, DC: LC-USZ62-121977, cph 3c21977. Despite his prolific output, Copway has not received nearly as much scholarly attention as another early Indigenous writer, E. Pauline Johnson. As well, biographers have questioned his authorship. For example, in Copway’s entry in The Oxford Companion to Canadian Literature , Penny Petrone notes, “[n]o one can be certain whether or not Copway’s educated wife collaborated in the writing of his books” (234). What does it mean to question the authenticity of an author’s published work? How might Copway’s Christianity and his work as a Methodist missionary affect the reception of his work? Consider why Indigenous peoples who converted to Christianity might not considered authentically Indigenous. Compare Donald B. Smith’s short biography of Copway in the Dictionary of Canadian Biography to A. LaVonne Brown Ruoff’s author entry in The Heath Anthology of American Literature and this anonymously written entry in Early Native American Literature . Which of these accounts is most sympathetic to Copway’s frequent financial difficulties? How do they portray his hardships and what is implied by these descriptions? Which leaves the strongest impression that Copway was unreliable? Why might it be important to consider that witnesses to history can be unreliable? What does this say about Copway’s travel writings and historical accounts in general, as well as about received notions of history and the historical biographer’s position toward her subject? Petrone, Penny. “George Copway.” The Oxford Compasion to Canadian Literature. 2nd ed. Toronto: Oxford UP, 1997. 233–34. Print. Moss, Laura, and Cynthia Sugars. 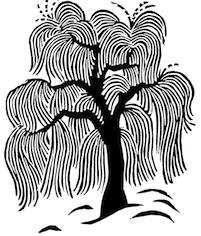 “George Copway (Kah-ge-ge-geh-bowh).” Canadian Literature in English: Texts and Contexts. Vol. 1. Toronto: Pearson, 2009. 239–40. Print.